This article is for devices running version v3.0 or newer. 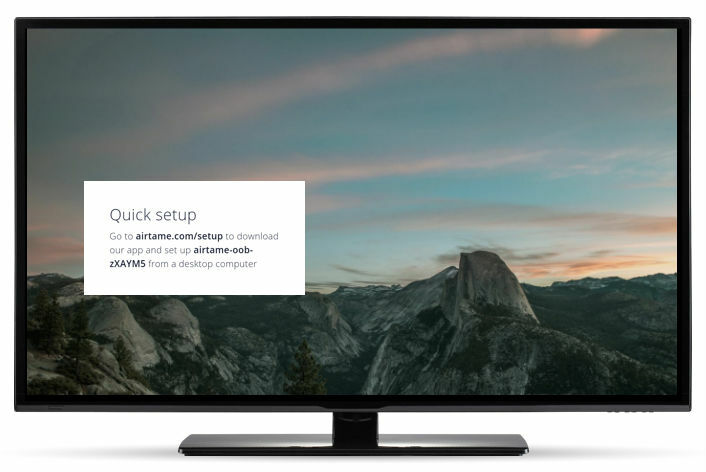 If your TV screen indicates that Airtame's firmware version (located in the bottom right corner of the screen) is less than 3.0, please use this setup guide instead. Congratulations on getting your first Airtame! 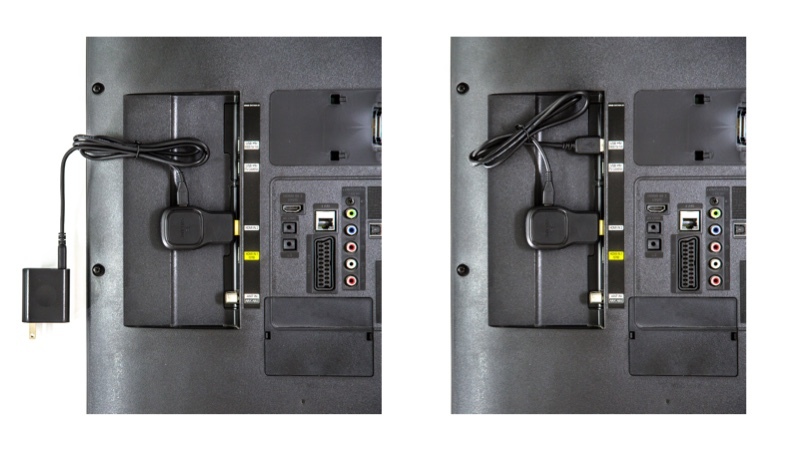 This guide will show you how to physically install the device, set it up and stream to it for the first time. 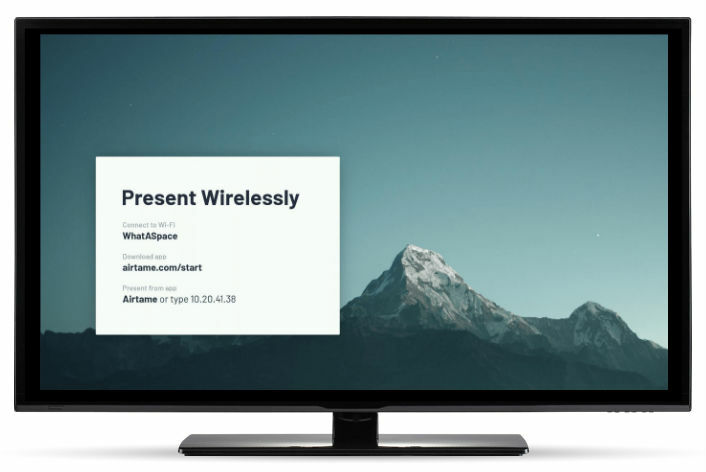 The end goal is to have Airtame connected to your existing WiFi so that anybody on that WiFi network can stream, wirelessly. ☝️ Click here to set up using an ethernet adapter. Note, that you cannot set up or configure Airtame using a phone or Chromebook. 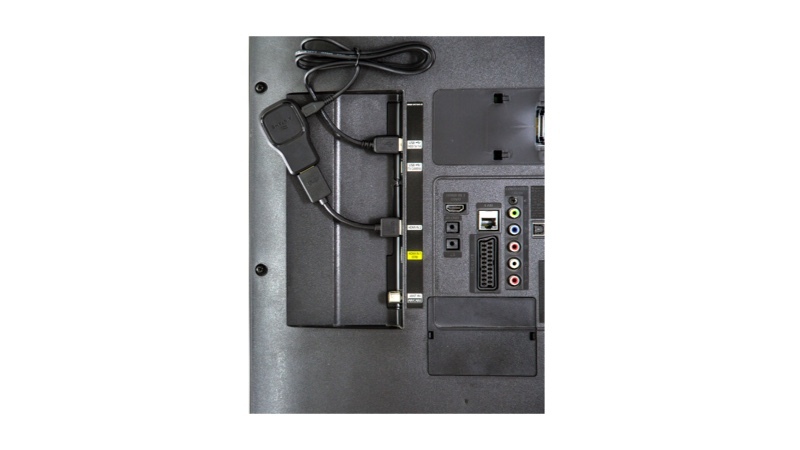 👇 Use the provided HDMI extension cord to fit Airtame in tight spots or to get the Airtame closer to the edge of the screen for better WiFi signal strength. The Airtame app will detect new devices when they are nearby and allow you to set them up with just a few clicks. Settings are sent through WiFi so your computer will temporarily switch to Airtame's WiFi to transfer these initial configurations. Enter a name for your Airtame. Choose how you will connect the Airtame to your network. (WiFi, Ethernet, or Ad-Hoc). If WiFi, select your network from the list of nearby WiFi's and choose 5GHz over 2.4GHz whenever available. For macOS only: Click "Connect" and enter your computer's user password to allow Airtame to switch WiFis for transferring settings. Wait for confirmation to show on the TV screen. For additional configuration, go to Airtame device settings. Find your device in the list or enter its IP address. Click "Share screen" for each device you wish to stream to. When you are done, return to the app and click "Stop" to finish the stream. Want to stream from a mobile device? Fill out Organization name and press "Next". Fill out your email address and password. Select the group you would like to add your Airtame to. Click the "Copy" button or manually copy the code in the box. - Open the Airtame settings. - Paste the Token under "Cloud token". - Click the "Apply changes" button. If this is not the case please check our 🛠 Airtame Cloud - Troubleshooting.